Yes, this idea is out of season for the Fall, but in some states , specifically Florida it is still 85 degrees. 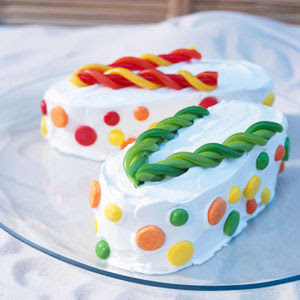 I thought this was the CUTEST cake idea I have ever seen, the FLIP FLOP CAKE. It uses pound cake, ice cream and stencils to shape into this very creative treat.